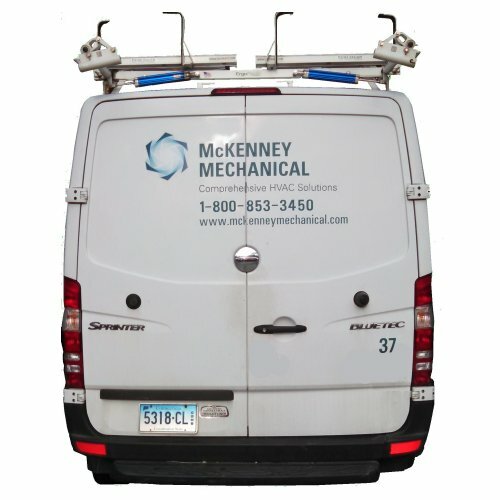 McKenney is an HVAC, Refrigeration and Process Piping contractor with specialty in demanding applications that are really big or are very technical. Often, they are both. Our customers include hospitals, sports complexes, universities, K12 schools, and large office complexes, and plant facilities. We were founded in 1987 and work primarily within Connecticut and New York's Hudson Valley. We have deep relationships with engineering, property management, and other facility-focused partners that rely on us to build and service complex and powerful HVAC/R systems. We're prepared for emergencies - including avoiding them. 24-Hour Emergency Service is a phone call away. And, to help avoid those late night calls, we offer a Preventative Maintenance program for routine cleaning, tuning, and minor repairs that reduce the chances of those emergencies while prolonging the useful life of your HVAC/R equipment and improving energy usage.